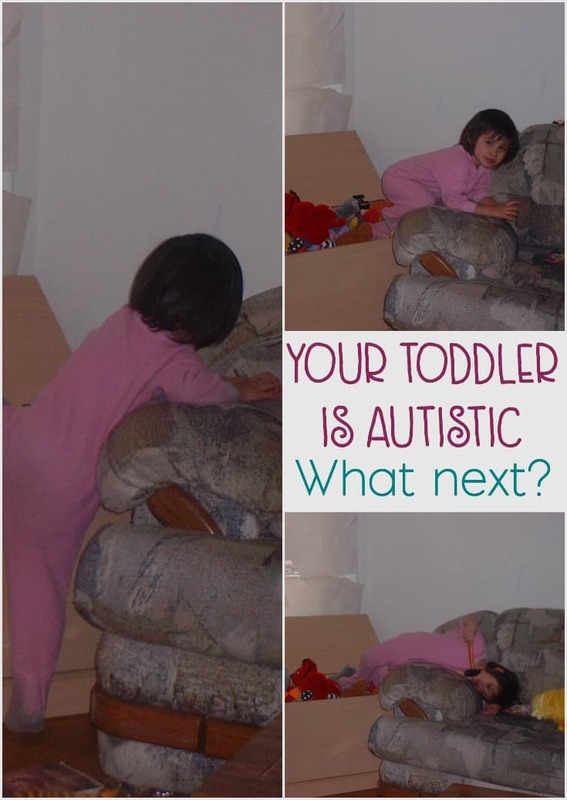 I want to tell you about my firsthand experience regarding autism in toddlers. My middle child is non-verbal, severely autistic. She has autism. The A word that I never wanted to think about before she got her diagnosis and the A word that I still sometimes don’t want to hear. It doesn’t matter how I word it, there are times that I still don’t want to hear it. I say this not because I’m ashamed of her, far from it. I say that because it’s just a part of who she is. 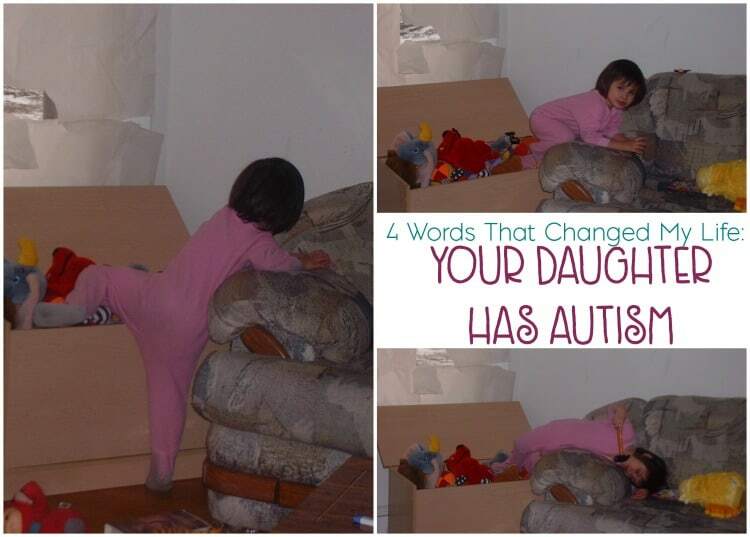 Her autism does not define her, but it does explain some of her quirks. Her autism will not got away, there is no cure- and I’m okay with that. Autism is a part of who she is, but it’s not all that she is. Her autism manifested as a toddler, and now they’re even catching autism earlier than when she was diagnosed. Being told that your child has autism is not an easy pill to swallow. Even when you might be expecting it. But it’s not the end of the world, even if it may seem like it at the time. She was born six weeks early, I mention this only because in New York State, this just qualified her to begin observation in the Early Intervention Program, and spent approximately one month in the NICU (Neonatal Intensive Care Unit) for jaundice and low birth weight. Once she was able to maintain her temperature and eat regularly, she was allowed to come home. Because of her prematurity, she qualified for Early Intervention Services through Albany County. Initially, those services were for low muscle tone and to help with fine motor skills. Eventually, she also began receiving speech therapy at home in addition to special education services. Having already been on a similar path with my first born, the revolving door of therapists was nothing new. She developed somewhat normally, I say somewhat because she was delayed in her fine and gross motor skills, in addition to speech. However, I didn’t think too much of it and thus continued our journey. It wasn’t until B was closer to her 2nd birthday that we really began to notice problems. The early signs of autism were right in front of us. She stopped making eye contact and then she stopped all signs of speech. Both were pretty tough to take, though the loss of speech in particular for me (as Mama was one of the few things she would say). 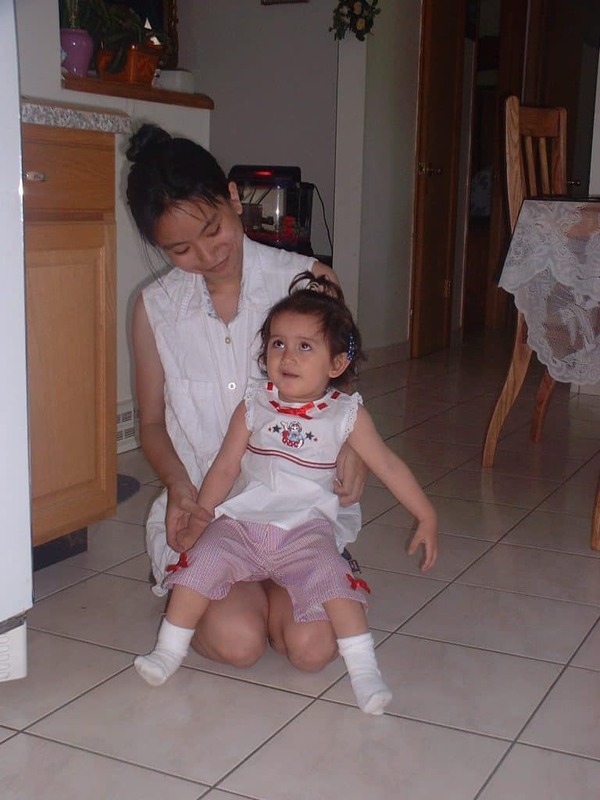 Eventually, it would be her physical therapist who would suggest getting B evaluated for Autism spectrum disorder. And while I didn’t really want to hear it, deep down inside- I was thinking it. I had seen it in other children when I worked at the daycare center. But it still didn’t prepare me for what would happen next. I can still remember sitting in the office of the developmental pediatrician in 2003 shortly before her 2nd birthday, answering questions diligently and watching my precious B go through evaluation after evaluation. She wasn’t struggling per say, but my stomach was in knots and I was so anxious to just get it over with. With each passing moment, I was regretting the words that would come out of the doctor’s mouth, but, at the same time- I desperately wanted answers. Ultimately, she confirmed what B’s physical therapist suspected- sure enough, B was on the autism spectrum. To be exact, the developmental pediatrician told us that B was exhibiting signs of autistic disorder, later we would also associate ‘classic autism’ and ‘severe autism’ with what she had. My heart broke and my dreams were dashed. Every last hope and every last wish that I had envisioned for her, from simple mundane things like playing pretend and dressing up to more elaborate schemes of grandeur; all of that was gone. Gone up in smoke, seemingly everything from those four little words: exhibiting signs of autistic disorder. Those four words changed my life. Gone were thoughts of PTA bake sales, Girl Scouts, school concerts, and graduation days. I didn’t quite know what to expect next, but I knew I was reeling. Even though there was a word for what my B had; I was devastated. I was also furious, angry, sad, and guilty. Yes, I felt so much guilt in the first years but I’ll cover that elsewhere. But, at least with a definitive diagnosis, we knew where to proceed from there. It was agreed upon (by her team of therapists, myself and B’s father) that we needed to take a new course of action to help B as much as possible. No longer would she stay at home with me, but instead she would begin attending preschool for special needs children. That was also rough in the beginning going from being at home with just me and her team of therapists coming in. Now she was in a more formal, structured setting. And while it was necessary and needed, the initial transition was still difficult. She was still my B, the same mischievous, playful, and loving child I always knew. But now, we had a word for her quirks and personality blips. We had a word that would help us to understand her better. We had a word that I would come attached to. We had a word that despite it’s negative connotations to some, would connect me to numerous others. So, there you have it. Our encounter with the A word. Not a bad word, by any stretch of the imagination, but a word that changed my life as I knew it. This post was originally posted on August 5, 2014 and was updated on February 23, 2016. We carefully make plans about how we want and expect our lives to unfold, and then we suddenly find ourselves in another place altogether. that is so very painful. I know children with different types of autism. Each moment brings many blessings and some painstaking times. Each and every child is a blessing. I hope someday there is a cure, but for now it brings a level of love and understanding that is immeasurable. Enjoy the wonderful moments and patience when change is presented. Thank you for sharing your blog. Autism is my favorite to work with because the kids are so smart, it is just a matter of unlocking it. I would love to read more about your journey. I teach preschool (early childhood special education), so I have had many kids over the years with autism. Have a nice eek Kori!! ((BIG HUGS))!!! Thanks for sharing your story. My youngest was in Early Intervention because of a speech delay with several autistic kids, a few of whom we are still in contact with this day. Having been exposed to their differences really helped me understand their needs a little better. Your daughter is so beautiful! My daughter was also born 6 weeks early, and has severe jaundice. She looks like a red/yellow tomato!! She is a little behavioral but otherwise seemingly healthy. Your little one is so lucky to have you as a mom to help her through this. Mommy guilt is terrible and I hope you didn’t beat yourself up too much. I look forward to hearing more about your journey, and know you have support! I can imagine that it would have been a tricky pill to swallow initially because it’s not just a passing thing, it’s a lifelong thing, and that would likely be a scary thing to process. You deserve an a for awesome in how you’ve approached it all since! This post gets an A for being so honest and authentic, raising awareness and showing other moms they’re not alone. You are doing a great job with your child. Love this post! I completely understand this and am sending hugs. I have a child with special needs and the journey is rarely easy. Physio and occupational the pray can make a massive difference to children. Thank you so much for sharing your story – I have to admit I don’t know enough about Autism, so thank you for teaching me just a little more. They say life happens when you’re making other plans. I hope you find your way through this. Thanks for sharing your story, Kori! My Godson sounds a lot like B. He is 2 and 1/2 and shows a lot of symptoms of being Autistic but the Dr’s here told his mom they can’t know for sure until he’s 3. He doesn’t speak either, he just makes noises and doesn’t do eye contact that well either. B is such a cutie pie! Thank you for taking the time to read this, Kim 🙂 It’s generally easier to tell (definitively) by 3 because by that time they can rule out if he’s just being a typical child or not. Still, I’ll keep him and his mom in my prayers. And thank you! I dont have alot of experience with autism. Some times the little steps are the best. Montessori learning has helped immensely in our case, and despite general aversion to it for A kids, it seems to be unlocking that beautiful brain to be shared with the rest of the world! Thank you for sharing your story. I haven’t worked with may kids with autism, but I have had grown adults with autism as patients. You go mama! My daughter has high functioning autism and I’m recently diagnosed with Asperger’s. You are right that our kids are still our beautiful children :). B is lucky to have you and be strong. You are a great mom :). From one A mom to another… Take care, be strong and God bless :)! Thank you for sharing your story,It is always helpful to read and learn more about something I knew very little about so I appreciate that. It is definitely not a bad word! Thanks for sharing your story. Good luck on your journey. Thank you for sharing your story! My cousin has asperger’s and is now 18 years old and in college. Finding good education and a good support system is so vital to his success. Thank you so much for sharing this and being so honest. She is absolutely adorable. Your daughter is so beautiful! It is great to spread awareness, plus you can give insight to other parents with a newly diagnosed babe. I worked most of my career in NICU and loved it all. When my son was 6 weeks early he spent a week in there. Even though it was my unit and I knew all the nurses/doctors and what to expect, it was the hardest thing to leave him each night. Blessings to you and your beautiful family! Keep up the good work of taking care of your child! My first born is HFA. I am sure that our journey has been totally different from yours, but there is something oddly comforting about reading that someone else is dealing with the A word too.- an still making it work. I have a 4 year old Autistic non verbal beautiful little girl in my life. It is amazing to watch her grow and learn in her own way. I’m sure it’s good to know exactly what you’re dealing with, that allows you to properly educate yourself on what you need to learn. I know another blogger whose child was just diagnosed, after having been misdiagnosed for a long time. I can’t imagine how frustrating that must have been. Thank you for sharing your story. My son has been diagnosed with SPD, and lots of kids on the spectrum have that too. It’s not always easy, but of course we still want the best for our kids. It absolutely breaks my heart when other kids don’t want to play with him. Thank you for sharing your story! I think the more people are aware, the better we’ll be able to wipe out stereotypes and preconceived expectations. I spent two summers working at a learning center with children who had varying degrees of autism, pervasive development disorder, ADHD, dyslexia and several other diagnoses that prevented them from learning to read, comprehend and write as easily as “typical” children. Some of these children were of the brightest and most gifted human beings I’ve ever encountered, regardless of the way in which they communicated best. Life takes us on unexpected journeys. Wishing you faith and love. There are many others who are going through this and sharing your helps others. I think the latest stats are 1 in 66 now.. it’s mind blowing, and frightening, at the rise in diagnosis. What a beautiful daughter you have! Thank you for honestly sharing your story so that others can understand your journey (and other parents like you) better. Thanks for sharing this with us. It’s a challenge raising kids, but to throw autism in the mix is a bit more difficult. The fact that your family have come to terms with it and working together for your daughters best interest is what’s going to keep you all strong and B happy! I was very upset when the nurse called after my blood test (when I was pregnant) telling me that there’s a possibility that my child will have a problem. My OB recommended to have me checked with a specialist. My husband and I were very happy that our little one was normal. We talked about that and if that possibility happened, I will continue my pregnancy. This was very informative for me to read. My neighbors have a daughter who is autistic, and not having an autistic child myself I’m pretty ignorant about what it all means. It’s different for everyone- just because it’s a spectrum disorder, but yeah.. I’ll say this, life is definitely never dull. My daughter was diagnosed in July of 2013. It is a new chapter. Same wonderful kid- but now we use the A word to get her the help she needs! With my daughter, having the A word meant having something to define more of her traits and quirks.. and yes, getting the services she needs 🙂 Always the same lovely kid though.